– Allied unit: 1st Inf. Div. 29th Inf. Div. Omaha Beach is one of the two American landing areas in Normandy. 5.9 kilometers long, this beach is 12 kilometers east of Utah Beach. It consists of the towns of Vierville-sur-Mer in the west, Saint-Laurent-sur-Mer in the center and the villages of Colleville-sur-Mer and Le-Grand-Hameau in the east. This beach is originally called the Côte d’Or (golden coast). A plateau overlooks the shore and four valleys allow to reach the interior. 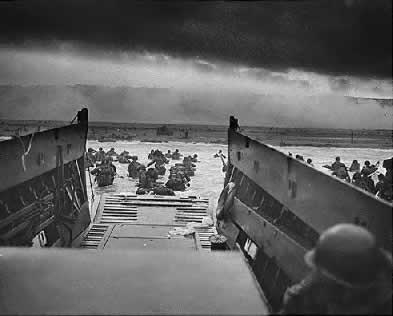 The 16th Regiment of the 1st US Infantry Division and the 116th Regiment of the 29th US Infantry Division are designated to attack this beach, divided into four major landing areas. They are named, from the west to the east: “Charlie”, “Dog”, “Easy” and “Fox”. 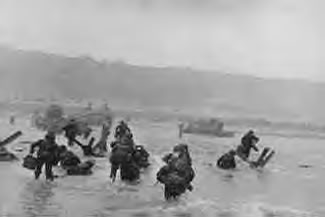 Depending on the progress of the Pointe du Hoc attack programmed at the same time, these units can be reinforced by the 2nd and 5th battalions of Rangers. These military formations are under the command of Major General Leonard T. Gerow, commander of the 5th US Army Corps, and General Omar N. Bradley, commander of the 1st US Army. All night before the American amphibious attack on Omaha, many Allied bombers dropped hundreds of tons of bombs on German beach defenses. 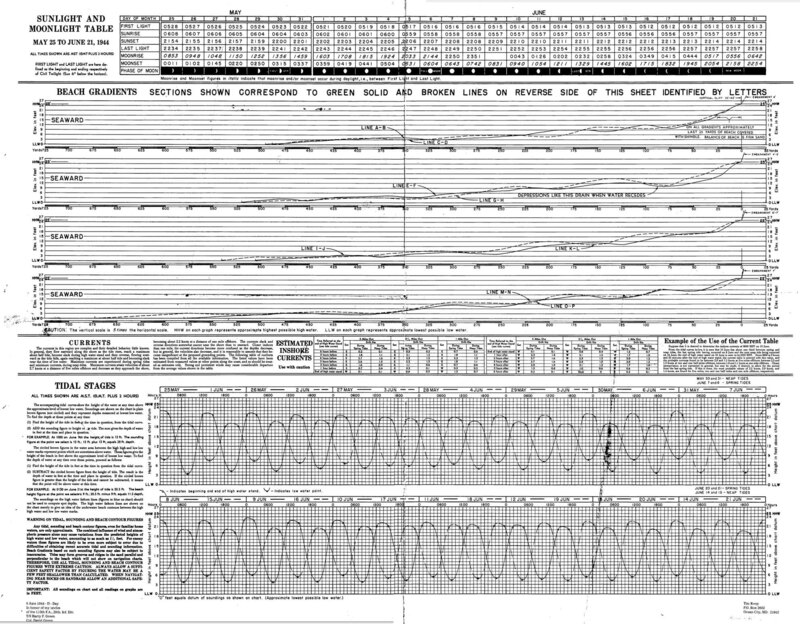 But in Omaha, the precision of the bombing is terribly lacking: disabled by a very strong fog and by low clouds, the bombers drop their bombs a few seconds too early or too late. The result is catastrophic for the Allies: the 13,000 dropped bombs miss their targets and explode inland, a few kilometers from the beaches. In the early morning, thick smoke due to the bombing of the night masks the coast to the allied ships. At dawn, the shooting of naval artillery directed towards the Atlantic wall is as imprecise as the drops of the bomber planes. The Germans are tried by these bombardments, but their losses are very low, as much in human lives as in material. For their part, the American soldiers saw the coast burning and lit up with a thousand lights during the naval bombardment, and they thought that the Germans were crushed under tons of land. 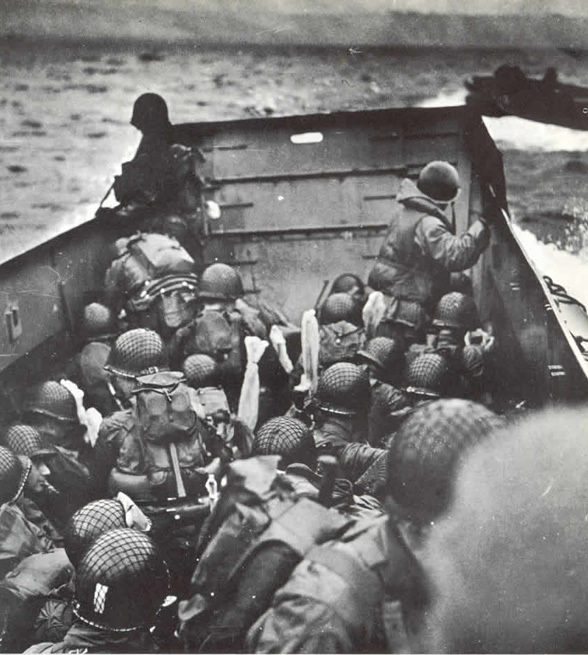 The first wave of assault arrives at 06:35: 1,450 soldiers who are distributed in 36 landing craft. The tide is low and it discovers the mined piles installed a few months ago. On the other hand, the assailants had to cover 500 meters uncovered before being able to take cover. The Germans, standing ready to defend their positions, await the last moment to open fire in order not to immediately reveal their positions. 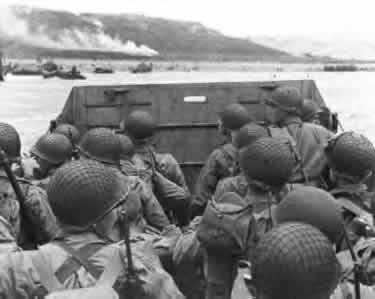 As soon as the landing craft hit the beach and the soldiers tread the ground in France, a shower of shells and machine-gun bullets fell upon them. The first assault wave is in an instant decimated: in the first five minutes of the assault, nearly 90% of its forces are put out of action. The vast majority of officers and non-commissioned officers are wounded or killed and the survivors organize themselves as they can in small groups, usually by affinity or by geographical origin: the Texas G.I.s find themselves between Texans, etc. Americans landing in Omaha receive unequal support from tanks, unlike soldiers in Utah or on Anglo-Canadian beaches. 112 tanks (amphibious Duplex Drive “DD” Sherman, Sherman tanks equipped with snorkels and Sherman bulldozers) belonging to the 741st and 743rd Tank battalions are scheduled to disembark at 6:30 am on Omaha to support the infantry. On 6 June, starting at 3 am, 64 Sherman DD tanks were to be launched and then to reach the coast by their own means. The other tanks are planned to be landed directly on the beach, in accordance with the assault plan. The amphibious Duplex Drive tanks belonging to the 741st Tank Battalion (TB) are in charge of supporting the 16th Infantry Regiment (1st Infantry Division) in front of Colleville-sur-Mer. But the sea is unleashed and these tanks, designed to sail in calm weather, do not withstand the very strong swell. All the tanks of the C company, that is to say 16 tanks, sank in the English Channel. 13 of the 16 tanks from B company also sank. After the first of the four DDs aboard LCT (6)-600 sank, Ensign Henry Sullivan made the decision to transport the other three tanks from B company directly on the beach. 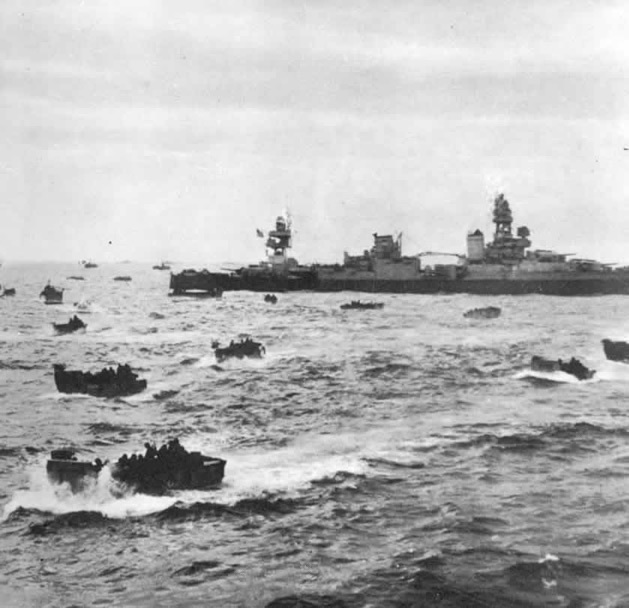 For the 741st TB, 5 amphibious DD tanks, 6 tanks equipped with snorkels and 5 bulldozer tanks manage to reach the shore. Unfortunately, many crews sank with their tank. 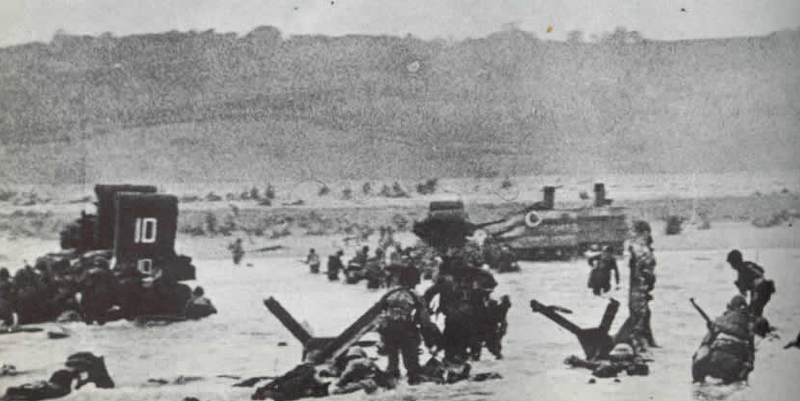 The 743rd Tank Battalion decides to operate otherwise and to disembark its tanks directly on the Dog Green and Dog Red beaches facing Vierville-sur-Mer, at the risk of losing or damaging the transport ships: the LCT (Landing Craft Tank) approach the shore and manage to regain the open sea without too much hassle. 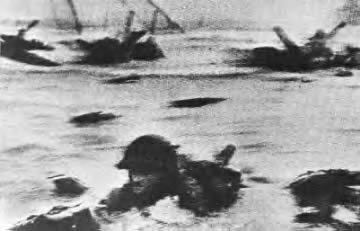 32 Sherman DD, 7 tanks equipped with snorkel and 3 Sherman bulldozers of the 743rd TB are engaged on the beach. 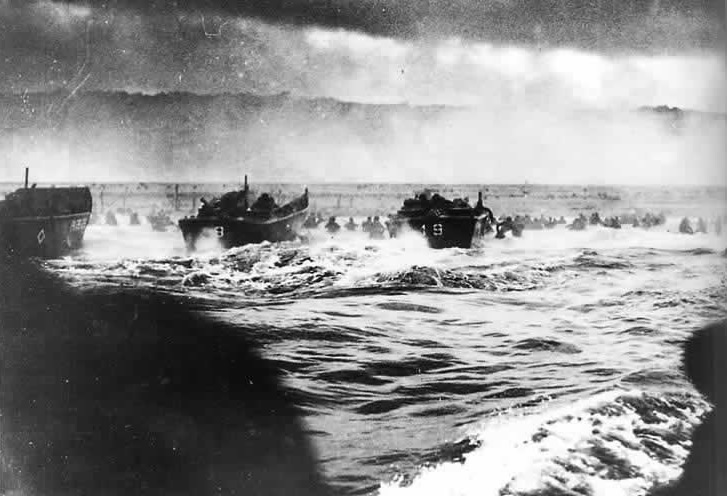 A total of 58 tanks reached the mainland at Omaha Beach. As of 7 am, 14 of them were already destroyed or abandoned. The others are blocked on the beach by the anti-tank wall or skate on the pebbles. Lacking firepower, the infantrymen are unable to silence the German defensive positions. The tanks of 741st TB are particularly attractive to enemy fires and only three of them are still operational at the end of the day. But on the beach, the 270 engineers who have to open, in 27 minutes, 16 passages to allow the vehicles and especially the tanks to cross as quickly as possible the 500 meters which separate the sea from the German positions, carry out a desperate work. They destroy beach defenses, used by soldiers as protection, in order to open ways that do not serve in the immediate future. 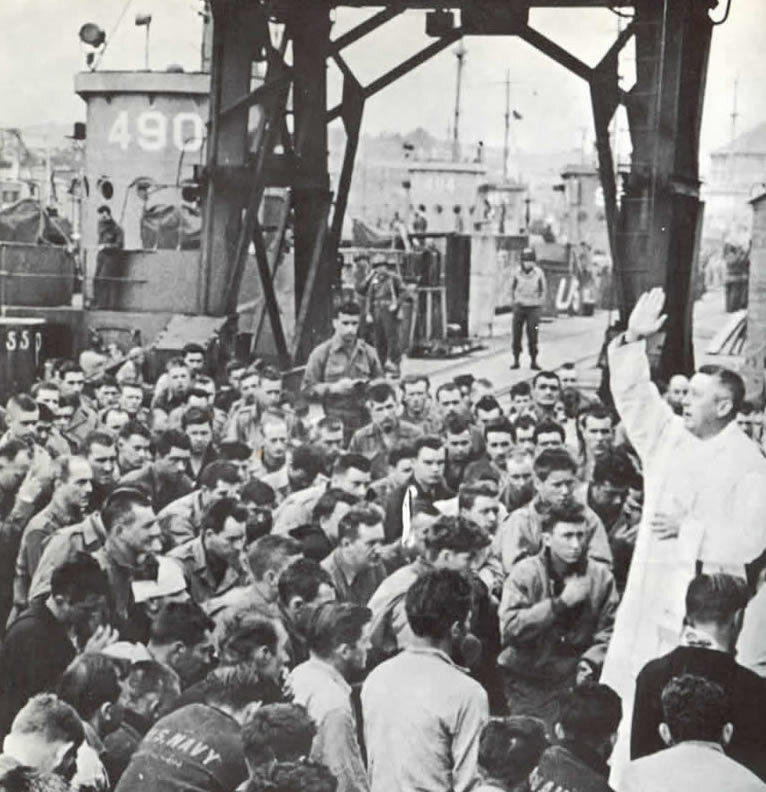 While staying on the beach to carry out their mission, they remain uncovered and are easy targets for German snipers. 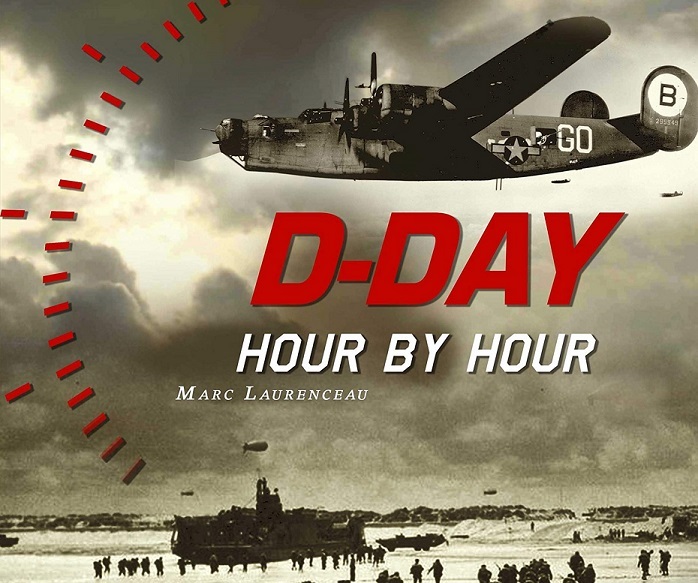 At the end of the 27 minutes established many weeks before D-Day, only one passage is open and a large part of the sappers are already killed or wounded. US landing waves continue and German shots remain extremely fueled. They have 17 defensive positions including 8 strongpoints (anti-tank walls, minefields, machine gun nests, flamethrowers, mortar shelters, guns of various calibres…). Moreover, German defenders are not elements of the infantry division as planned. The latter was replaced in May 1944 by the formidable 352nd Infantry Division, back from the Russian front. A message from the French Resistance had been sent before D-Day by a pigeon traveler in London, but not soon enough for the authorities to take it into account. The landed troops find their salvation behind the anti-tank wall in front of a ledge (which can measure up to 185 meters wide in one place), itself located at the foot of the plateau that overlooks the beach. This anti-tank wall is of variable height but is high enough for a man to squat without being spotted by the Germans in their casemates. 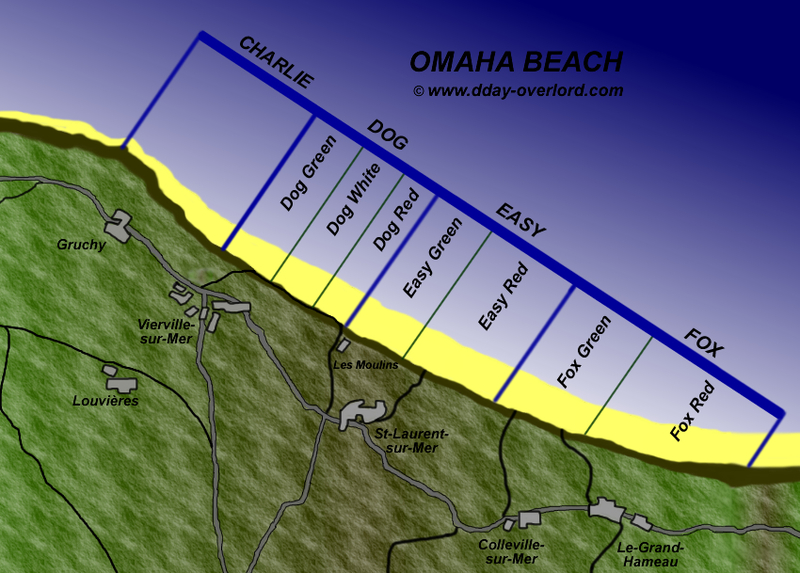 At the extreme west of Omaha beach, in front of Vierville-sur-Mer, “Charlie” sector, the anti-tank wall is replaced by a natural rampart formed by pebbles. 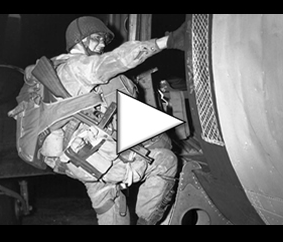 American soldiers are obliged to remain lying there if they do not want to be targeted. But German mortar shells still manage to kill behind this meager protection.